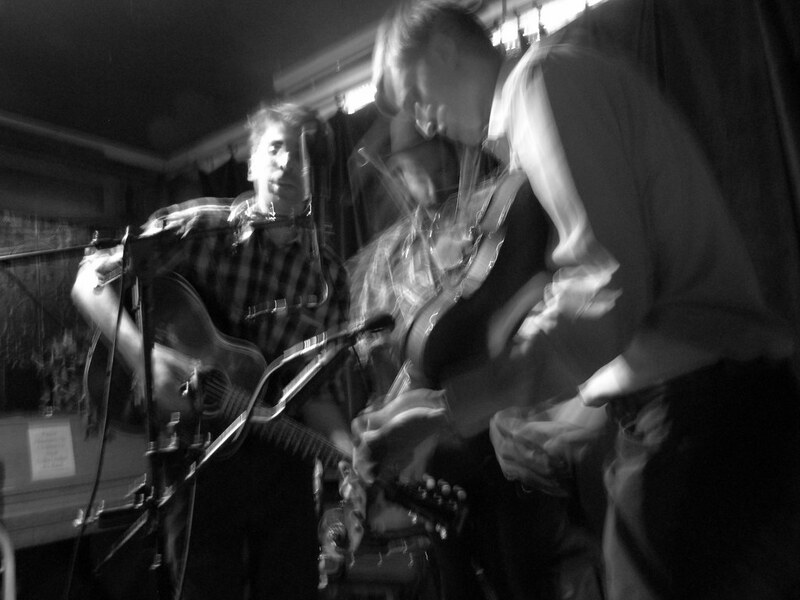 We're playing a square dance on Friday, gonna be fun! 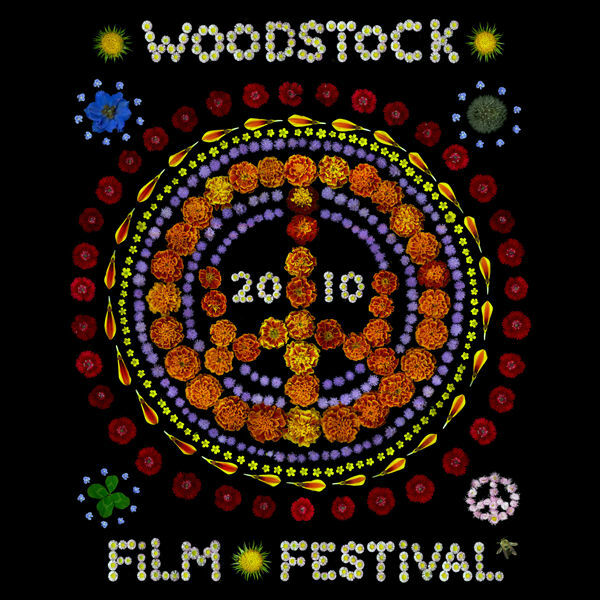 It's gonna be held at the House of Yes in Williamsburg. We'll be playing a short set before playing for the dance at 11pm. Dave Harvey will be the caller, from nycbarndance.com. Opening the show will be our friends, Cuddle Magic. 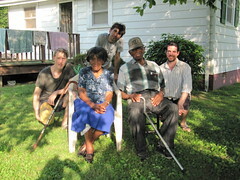 On a beautiful day in early June The Dust Busters paid a visit to the home of Joe and Polly Thompson. Joe Thompson is 91 and lives outside of Mebane, NC. 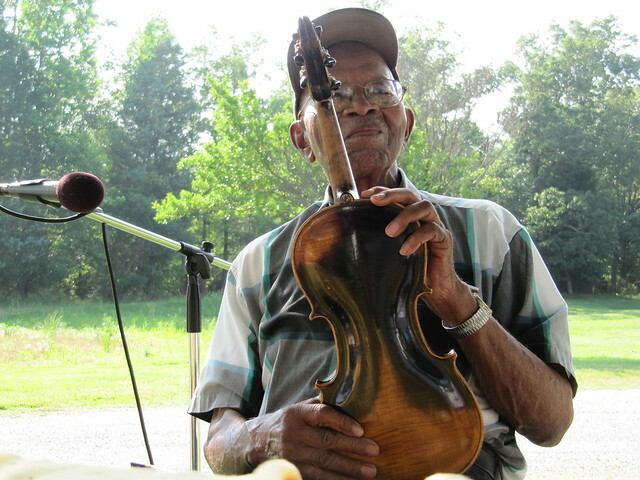 He has been playing fiddle since he was 5 years old, way back in 1923 and is perhaps the very last traditionally schooled African-American fiddler in the world. Joe is a World War II veteran and is long retired from his job at a furniture factory. He continues to play music at home and at gigs including taking his music to Carnegie Hall in New York City, the National Folk Festival and the Smithsonian Institution in Washington, D.C., and the International Music Festival in Brisbane, Australia. In 2007 Joe Thompson was honored with the National Heritage Fellowship award from National Endowment for the Arts. The Carolina Chocolate Drops have spent a lot of time with Joe and have learned a lot from him. They continue to present many of his tunes in their performances. We met Joe at the 2nd Black Banjo Gathering, held in Boone, NC in March of this year. 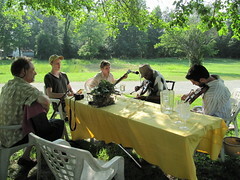 We sat around the Thompson's picnic table in the field behind their house and played a number of tunes as Joe recalled his musical family and his upbringing. Joe and Polly were tremendously nice and hospitable and we were really touched and honored to spend time with them. Here are some excerpts from the long afternoon that we spent at the Thompson's home. Big thanks go to Joe and Polly's friend Larry Vellani for bringing us to their home that day, and a shout out goes to our friend Steve Kruger who joined us with his banjo and guitar. 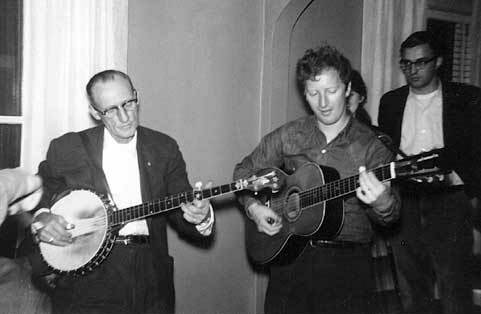 We were very pleased to play with John Cohen on Saturday following the screening of his new film, "Roscoe Holcomb: From Daisy Kentucky" at the 2010 Woodstock Film Festival. We were even more pleased that the film took the award for best short documentary at the festival! 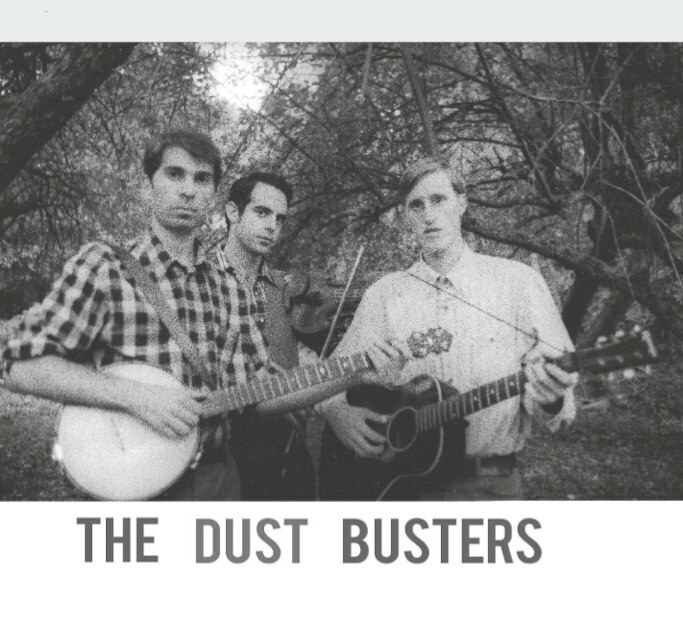 Look out for John & The Dust Busters playing in support of the film again on Nov. 13th at the 34th Annual Margaret Mead Film & Video Festival at the American Museum of Natural History.